I walked into this one blissfully unaware of anything other than that it was a movie about an identical twin of an Elvis knock-off. What I got was one of those rare gems of a movie so awful but just ever so clumsily earnest that it deserves to be seen by those with an ironic sense of humor. I could almost call it an instant ironic cult classic. Now it’s primary target audience, which is clearly supposed to be the same Christian audience who church out en masse to any movie marketed as “faith-based”, but those who are going to appreciate the true entertainment value are going to be those of us who can humorously appreciate a serious effort by the clueless. There’s so much about this, that I don’t even know where to start other than a quick synopsis. 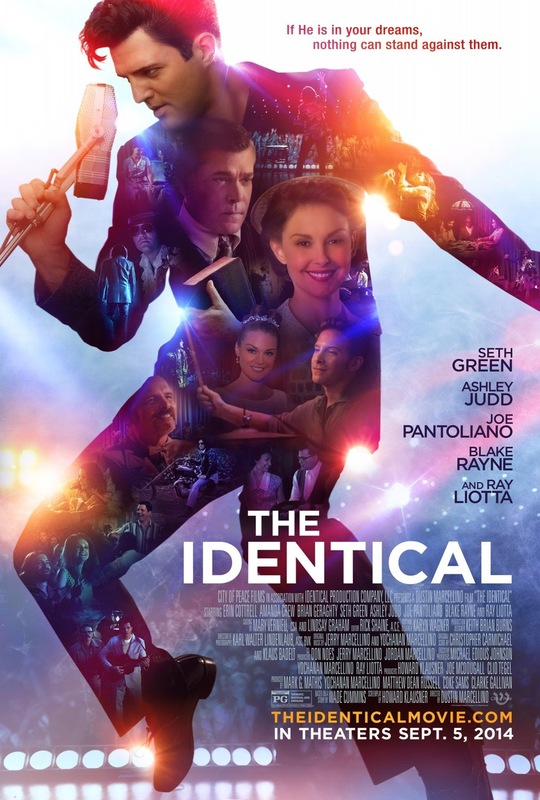 THE IDENTICAL is essentially a “what if?” story that asks “What if Elvis Presley’s twin brother had not actually died as an infant but rather been given away and raised by another family?” However, in this movie, the pastiche of Elvis (The King) Presley is “Drexell (The Dream) Hemsley” and his secret twin brother is “Ryan (The Identical) Wade.” Both Drexell and Ryan are portrayed by Elvis impersonator Ryan Pelton now relaunching himself with this film as a Christian singer named Blake Rayne. As a work of speculative fiction, this actually has the potential for a really good story. This film is not it, but it does have its own charm, which I will get into in a bit. The beginning of the film is set during the Great Depression when a young couple, the Hemsleys, give birth to twins. They cannot afford to feed four mouths and at a Tent Revival, the father believes God to be telling him to give one of his sons to the childless traveling Evangelist and his barren wife. This way he knows his son, Dexter Ryan, will be raised by Godly parents. Reverend Wade promises not to tell Ryan he was adopted until both his birth parents have passed away and he dedicates the boy to God. Fast forward to Ryan’s childhood and you see the Reverend believing and pushing Ryan towards the ministry but Ryan clearly does not have the knack for it, but he certainly has a knack for singing and tapping his feet to the beat. Fast forward to Ryan’s teens and the good-hearted, but slightly rebellious son keeps slipping out to the rhythm and blues “honky tonks” on the wrong side of the tracks where he is drawn to the music but doesn’t know why. In all this though, he never drinks alcohol or smokes cigarettes. See? He’s rebellious but not bad. He’s rebellious because his call is to music but his dad keeps pushing him to follow in his steps as a minister. Over the course of the rest of the film, it tracks along with Drexell’s career and Ryan’s purposeless and meandering adult life as he tries to just plug on through but cannot seem to nail down what he’s supposed to do. And, of course, it doesn’t help that everyone is always carrying on about how much he looks like Drexell Hemsley. It is Ryan’s wife who knows that the only fulfillment her husband will feel is going to be on stage and creating music and she encourages him to try out for a Drexell look-alike/sound-alike contest, which, of course, he wins. And from there he builds his own career as a Drexell knock-off, which has its own ups and downs. In the end, the resolution revolves around him accepting himself for who he is and just doing what he loves to do, not for the money or the fame but because it’s what he is supposed to do. He finds his purpose and place and happiness finally in the end. On the positive side, the movie has a good heart to it. It has a nice message, although it gets convoluted. The guy playing Ryan is about as good an actor as Elvis was, so there’s almost a point where you think it’s an intentionally meta thing. But it’s not. He’s just not an actor, but he has to carry the whole film. Thankfully, he is kind of likeable – in a schlubby kind of way and there are times where he looks uncannily like Elvis. He does a decent singing impression too. 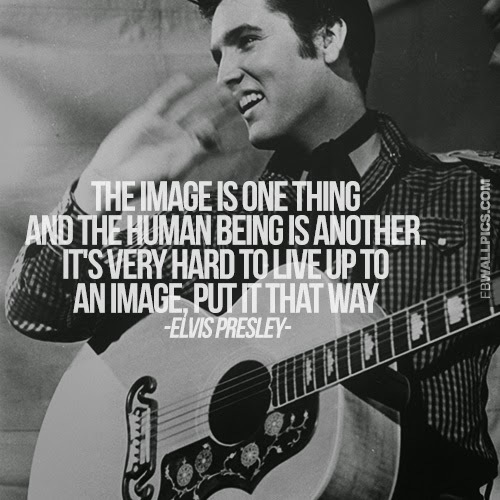 The odd thing about that is that…IT’S NOT ELVIS. Since it’s not Elvis, why make the character sound like him to such an extent? I had almost bought into the idea that this is an alternate universe type of thing and that would explain it, but then they tossed in a throw-away line referencing Elvis and the Beatles and that brought the entire Drexell Hemsley concept crashing down. That was a huge mistake. Drexell and Elvis could not co-exist like that and be believable, and that’s when my strained commitment to the story started totally unraveling. 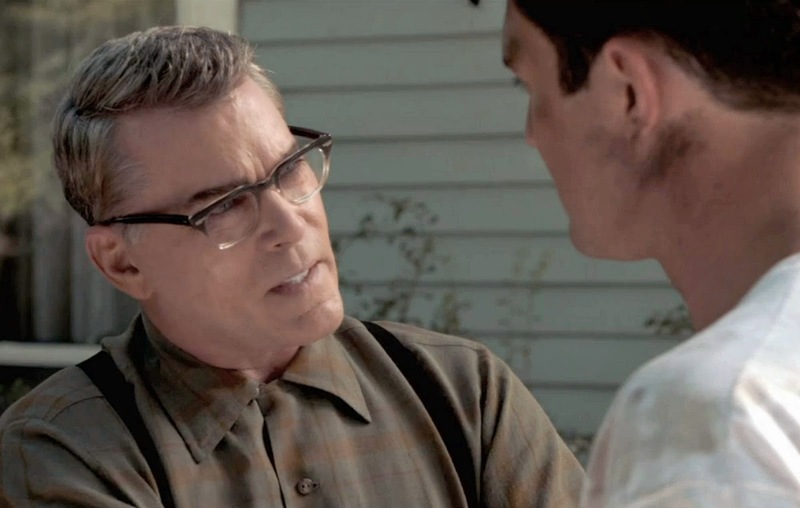 At that point I was there primarily for Ray Liotta who gives a fantastic and moving performance throughout the entire film. His Reverend Wade grounds the film in his emotional reality and helps you forget the other nonsense because every time they cut back to him, he is authentically in the moment emotionally and you buy into the reality. Ashley Judd is one-note, but nice, as Liotta’s wife and Ryan’s mom. Joe Pantoliano slums it here as a car mechanic, mentor, and friend to Ryan. And I don’t know what the hell Seth Green is in this movie for! He plays a childhood friend of Ryan’s and really just…I just don’t know. The rest of the film is populated with oddly out of place and amateurish actors – most notably the guy with the pompadour who plays Ryan’s manager. He is laughably awful and needs more work. He should star in SHARKNADO 3 but I suspect he doesn’t realize he’s bad. He came off like he thinks he is a master thespian. Yeah. One of those. There are also some truly odd things just tossed into the film blender that had absolutely no bearing to the story. There’s some bizarre Zionist bent that’s like pro-Israel bumper stickers on a car. I’m not against bringing in the idea that Ryan’s birth parents were a Christian father and a Jewish mother. It just seems like there should be an explanation of why that matters rather than just making the statement as if it has some great meaning. As well, a character points out that both Drexell and Ryan wear a Jewish “Chai” symbol as a pendant necklace. However, there’s no explanation for the fact that the “Chai” symbol means “life”. I had to look that up afterwards. And I’m still not exactly sure of the significance to the story but the characters acted like it meant something. And most inexplicable was that during the 60s montage, they completely skipped over…oh…the Bay of Pigs, Kennedy’s assassination, Viet-Nam, MLK’s assassination, but stopped the movie completely to focus on news reports about the 6-Day War in Israel and even cut to Reverend Wade giving an impassioned sermon calling for another Hannukah miracle for Israel. It was all quite bizarre. Another amusing tidbit that finally drove home to me the reality that all I was watching was an extended promotional peace for “something” was the scene where Ryan finally has written, recorded, and pressed his own original album of songs under his own name. He takes it to a record company called “City of Peace Productions” and has an exchange there where the white-haired producer tells him his song “City Lights” (imagine it in the style of the “In the Ghetto” era for Elvis) is a guaranteed hit and offers him lots of cash to buy the song so that Drexell Hemsley can record it. Then I remembered that when the movie started and they flashed the logo for the production company that made the movie, it was called “City of Peace” replete with another Hebrew symbol (I don't think it's the "Chai" as it looks different from the pendant) prominently displayed. Then afterwards when I went online I discovered that, yes, City of Peace is producing “Blake Rayne” as a recording artist and they are planning to release “City of Lights” as a single. It’s an awful movie, to be sure, but there’s something actually charming in its awfulness and in its deliberately crass attempt at marketing and pushing some vague Messianic-Jewish agenda. For at least the first half of the movie I thought it was self-aware in the way it was replicating the naïve low-brow charm of the early Elvis movies, but as it went on I realized it was clear that the director simply doesn’t seem to really understand the difference between those films and reality. So, it’s a different type of naiveté and there’s an amateurish charm to that. And that should really tell you just about all you need to know.